A former Soviet republic which gained its independence in 1991, Ukraine is the largest country in Europe. 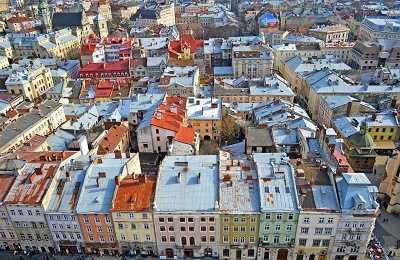 In 2012, Ukraine was visited by some 23 million foreign tourists, mostly coming from Eastern Europe. Moving to Ukraine will be a swift and easy process with the help of reputable moving companies who will assist you from packing your valuables to settling in Kiev or anywhere else in the country. Being the “Breadbasket of Europe” is no small feat. Ukraine is a nation thriving with rich natural resources, an exceptional labour market, and a good education system. Presently, the country is going through a difficult period brought about by tensions with Russia. Expats that are interested in moving to the country are advised to heed the travel warnings and other advisories that governments around the world have been putting out. Europe's second largest country is strategically located at the crossroads of Europe and Asia, Ukraine is bordered by Belarus to the north; Russia to the east; the Republic of Moldova and Romania to the southwest; Hungary, the Slovak Republic and Poland to the west. Ukraine is a varied country with a total of 603,700 square kilometres and a coastline of 2,782 square kilometres. Kiev, the capital, is Ukraine's largest city and is home to 1,723,834 people. As of October 2009, Ukraine's total population was 46,011,345. Ukraine may not be one of the best economies in Europe but it is slowly making strides and was bouncing back at the end of 2009 with a total nominal GDP of USD$180 billion dollars, being the 45th country in the world. After a significant decrease in GDP in 2010, the economics has got back its growth reaching a USD$180 billion dollars in 2014. Presently, the country is being challenged and put in a situation brought about by civil unrest. Bombings and other violent protests have been occurring, and expatriates are likely to be affected. Although recovery is expected at a slower pace, the Ukrainian economy is supported by its mining and agricultural industry and is endowed with mineral resources such as oil and natural gas reserves. Other important natural mineral resources are coal, sulphur, mercury, iron ore, nickel, kaolin, manganese, magnesium, natural gas, titanium, oil, graphite, and salt. Ukraine also produces sunflower seeds, grain, and beet sugar. Ukraine's trade is becoming more diversified, and its trading partners are the European Union and Commonwealth of Independent States. The metal industry plays an important role in the export sector, resulting in Ukraine being the world's eighth largest producer of steel in 2005. Other exports are petroleum, transport equipment, turbines, chemicals, timber and processed packaged food. 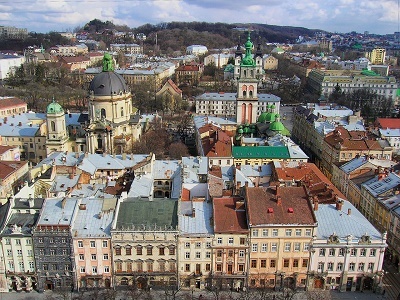 Ukraine's tourism industry is one of the fastest growing and important sectors. According to the World Tourism Organization, in 2007, Ukraine ranked eighth in the world for the number of tourists visiting, beating Austria and Russia. Many governments have issued travel warnings to tourists, as Ukraine is going through a period of turmoil that can be dangerous to visitors. 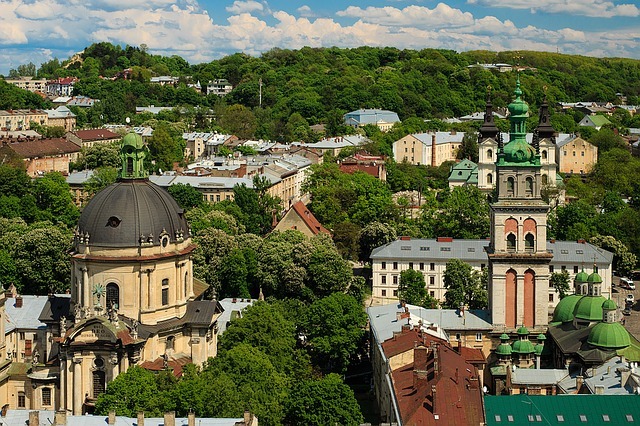 Expats will find numerous opportunities to get acquainted with Ukrainian culture in Lviv (City of Lions), one of the oldest cities in Europe and considered the heart of Ukrainian culture. Kiev, on the other hand, is the cradle of Russian civilization. It is important to note that many parts of Ukraine have suffered damages through bombings, and expats relocating to the country will want to do some research to find out the best areas to settle down in. Christianity heavily influences Ukrainian customs and the majority of the population practices Orthodox Christianity and Eastern Catholicism. Also, Protestantism and Judaism are also well represented. Ukrainian is the official language. Russian is also widely spoken in Kiev and Crimea. To some, the first impression is that Ukrainians are cold. On the contrary, they are warm and friendly; most avoid drawing attention to themselves and is the reason they tend to appear restrained in public. Ukrainians are in fact a hospitable folk; expect to be invited into their homes and be well fed for any celebration. Family is considered to be the center of Ukrainian social life. Although Ukraine is a country that is presently suffering from political turmoil, it has a well-preserved identity that will capture the heart of any expat. Moving to another country can be daunting if you are not prepared. If you are relocating to Ukraine, the first thing you have to do is check Ukraine's customs regulations at the nearest Ukraine embassy in your home country.However, many foreign governments and embassies have issued travel warnings for expats, advising them to exercise a high degree of caution due to the amount of crimes, armed groups and security issues that are affecting life in the country. Once you arrive at the airport in Ukraine, you will be asked to fill out a form by customs. You must declare all the items with you, including your cash at hand if it exceeds 1000 USD. Valuable items such as laptops, mobile phones, digital cameras and video cameras must be declared for personal use. There are certain items you can bring with you to Ukraine without paying customs tax as long as you don't exceed the allowable quantities. You can bring in 200 cigarettes or 50 cigars, 1 litre of spirits and 2 litres of wine. If you bring in cash, it should not exceed 10,000 USD. If you have to bring in more than 10,000 USD, you will have to get permission first from the National Bank of Ukraine. Relocating to Ukraine should not cause you any worry, although it is important to stay vigilant given the delicate political situation that the country is in. By contacting one of the movers in Ukraine, you can now free yourself from worrying about how to pack your things and what shipping documents are needed. Movers in Ukraine can help you secure the shipping documents needed in moving packages from your home country to Ukraine. In the same way if you are exporting an item from Ukraine, removal companies can take care of shipping documents for you as well. Though Ukraine still bears the scars left by the Stalin regime, many will still notice how this country gracefully recovered from its dark past. It now boasts a developing economy driven by the agriculture industry and its role as a top manufacturer of aerospace products and industrial machinery. Aside from its competitive job market, Ukraine is also popular for its untarnished natural beauty and rich culture that expats will surely love. Surrounded by fellow expat magnet countries such as Poland, Russia, Belarus, Slovakia, Moldova and Romania, it’s no wonder why Ukraine is a magnificent patchwork of various cultural influences. This east-European nation encompasses a total land area of 603,000 square kilometres and scattered across its territory are stunning landscape and vast forests that are yet to be discovered. With such a colourful and rich cultural heritage, living in Ukraine can be as enriching and as unforgettable as you'd like it to be. Despite the charms that this country exudes, expats will need to keep in mind that daily life in Ukraine can be affected by the current political unrest. Expats parents have plenty of options when it comes having fun with their kids. Ukraine boasts well preserved castles, medieval churches, and museums that will surely delight the whole family. Your kids' sense of curiosity will be piqued by the Caves Monastery, located underneath the city of Kiev. It is an underground maze of catacombs, church artefacts and mummies where kids can take a candle with them and explore its mysteries. To keep your child entertained, you can take them trekking the forests of Ukraine's largest national park, the Carpathian National Nature Park where Mount Hoveria, Ukraine's highest mountain, is located. You can also visit other national parks like the Shats'kyl National Park and Yovorivski National Park which boasts of mineral springs, lush forests, and cultural monuments. Ukraine boasts an impressive list of shopping centres where expats can purchase their daily needs or spend leisure time with their friends and family. Retail is one of the most successful business in this country and its no wonder why its capital Kiev is a treasure chest of stores and botiques that shelf products from world renowned international producers. One of the most visited shopping centres in Ukraine is the Mandarin Plaza, a seven-level mall that features a numerous stores and a kids club where expat children can have fun while their parents shop. Another go to for fashion fanatics is Globus which houses 192 shops that sell famous brands such as Esprit, Tommy Hilfiger, Polo Garage and Adidas. Local markets are also popular in Ukraine. One of the most sought after is the Andriivsky uzviz market in Kiev where expats can buy ethnic handicrafts, souvenirs and paintings that are made by local artists. The Privoz and Barakholka markets in Odessa are also worth a visit because aside from being a shopping haven, they are also considered as cultural treasures. People have been shopping for shoes and clothes in Odessa ever since the Soviet era. Ukrainians may be aloof and distant at first meeting, but they are friendly and hospitable once you get to know them. They have small personal space, so do not be surprised if they lean a little too close to you as they talk. You should never shake hands while passing through a doorway, as the Ukrainians are quite superstitious. It is said that shaking hands while going through doorways will bring bad luck. Living in Ukraine may give you quite a shock if you are used to strict traffic rules and public smoking regulations in your home country. Most Ukrainians are heavy smokers, and they smoke everywhere. Drivers don't necessarily follow the traffic rules - they keep changing lanes and drive like they own the road. All of the things mentioned above are just small snippets of who Ukrainians are. What's important here is that you adapt better to an unfamiliar place if you get to know locals well. Whatever you do, never call them Russians. As much as they are proud of their heritage, they are also proud of their independence. It is interesting to know that Ukrainians have a very rich cultural heritage of which they are very proud and wouldn't mind filling you in on their way of living, their history, their colourful traditions, music, and art.